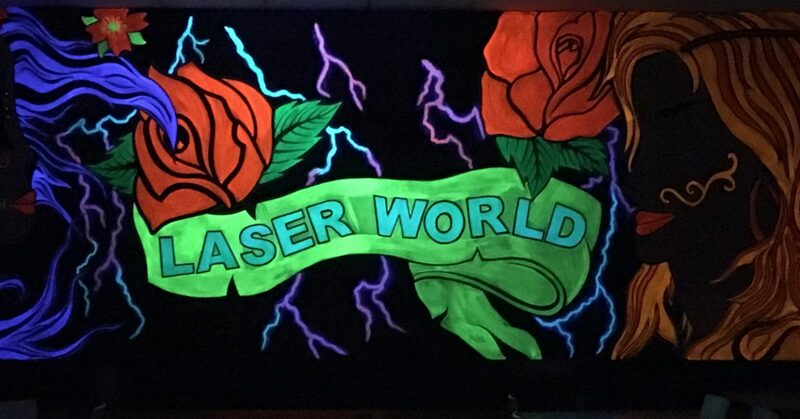 Laser World is the perfect place to celebrate your party in a dedicated party area and Laser World host on hand to make sure everything runs smoothly, while you relax. You’re welcome to bring a birthday cake and we provide the food and drink. With excellent customer service, good food, Laser World is the perfect venue for your party. Our party packages are available Thursdays, Saturdays and Sundays. All packages require a minimum of 10 players with a maximum of 28. The party package is a 2 hour 15 minute experience. Play your first exciting game of Laser, then cool down with your complementary drink, go in for your second game, when you’ve finished sit down for your party food and drink. Once you’ve had your food you play your final game of Laser. All this for £13.75 per person. You can upgrade to slush drinks for everyone and larger meals for an additional £2.00 per player. * Please be aware that parties do not have exclusive use of the arena and there will be other players using the arena at the same time. For exclusive use of the arena for your party you can book the arena by the hour. Our party package has a minimum booking size of 10 players. The absolute minimum age for party children is 7 years old with a minimum height requirement of 1.2 meters. Worried your child might be scared of the dark or scared to play? Although some children may be apprehensive before they play for the first time, we find they soon overcome this and get in to the game and really enjoy themselves. The area they first enter is lighter than the rest of the arena, and parents are welcome to accompany their children during play. 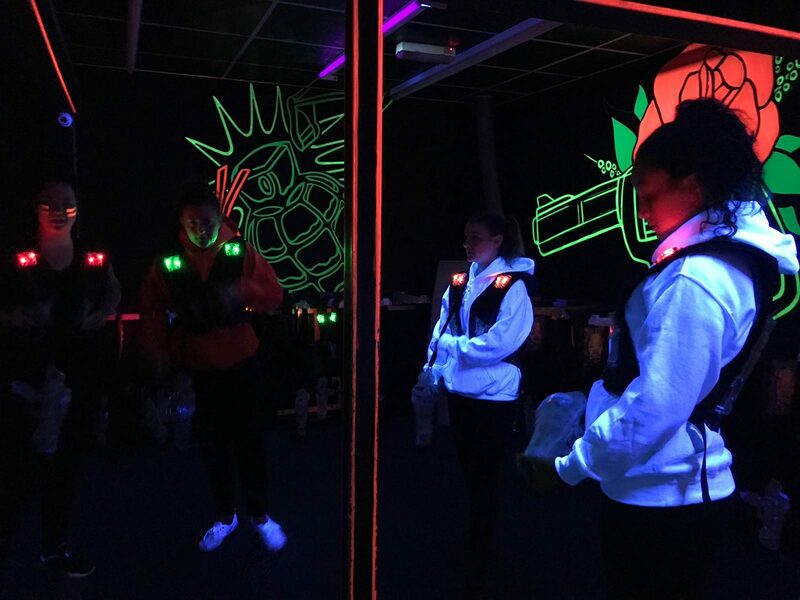 Still unsure, then feel free to visit Laser World, speak to a staff member and you can enter the arena with your children and have a look around before you book. Hot dog and drink all for just £10.00 per player! !